Ubuntu 17.04 has been released. The new version brings updated applications and various under-the-hood improvements, along with bug fixes. 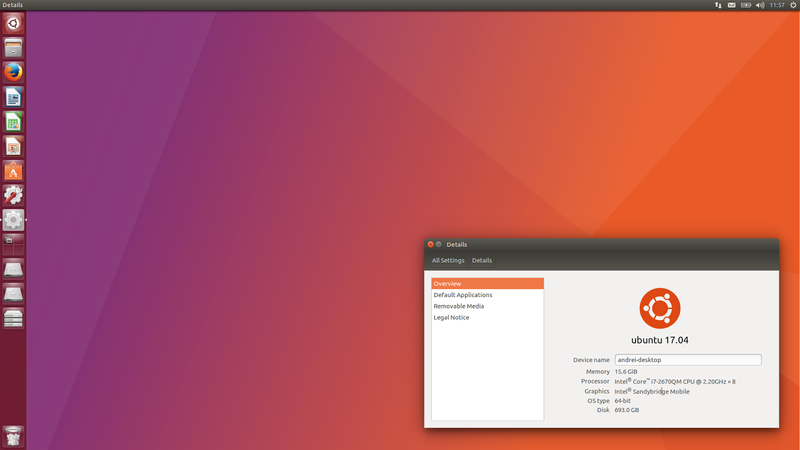 As expected, Compiz and Unity have only received minor improvements and bug fixes. 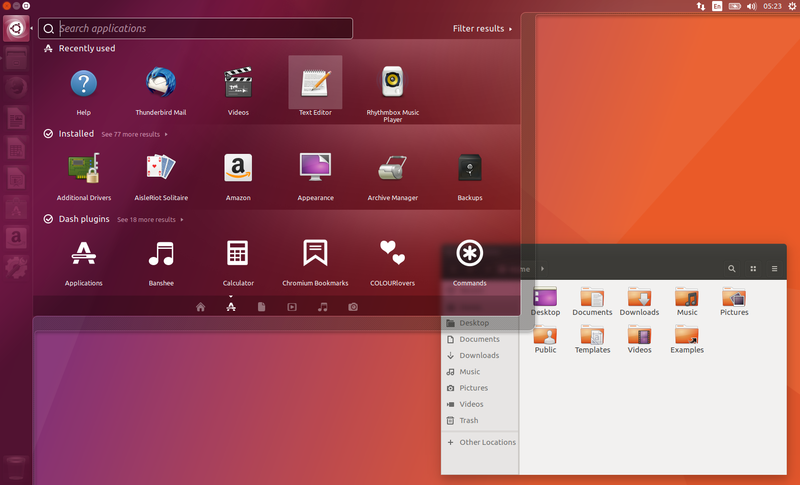 On the other hand, Ubuntu 17.04 includes the GNOME 3.24 stack for the most part (GTK3 along with Totem, Disks, Calendar, and so on). 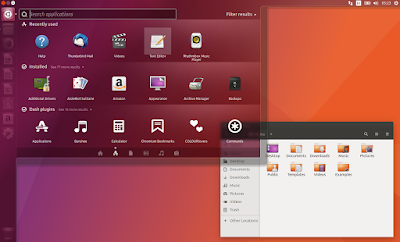 There are some missing bits, but this is still pretty important, as Ubuntu didn't use the latest GNOME since around Ubuntu 11.10 / GNOME 3.2. 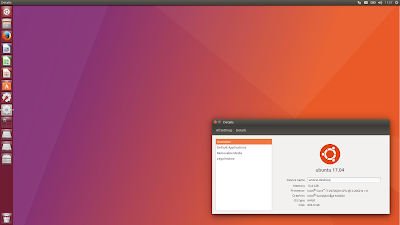 As you probably know, Ubuntu will switch to GNOME (Shell) by default starting with Ubuntu 18.04 (to be released in April, 2018). However, even before this announcement, Unity 7 was in maintenance mode, with the focus being Unity 8. 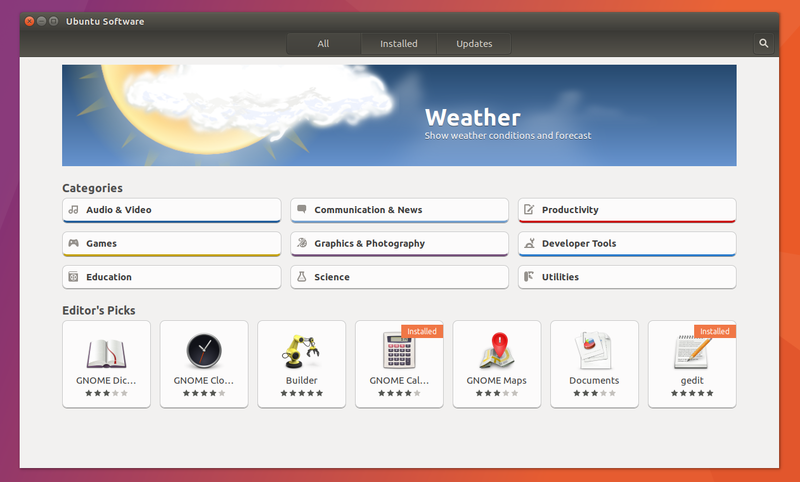 It did receive some features, like the option to move the launcher to the bottom in Ubuntu 16.04, but only bug fixes for the most part. Compiz: added option to disable blend in grid plugin. Complete changelogs for Unity and Compiz. 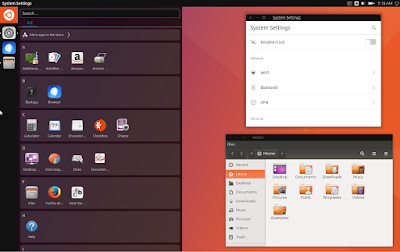 I should also mention that while Mark Shuttleworth, the founder of Ubuntu and Canonical, has recently said that Canonical is ending their "investment in Unity8", Ubuntu 17.04 ships with an experimental Unity 8 session by default, just like Ubuntu 16.10. Ubuntu 17.04 Zesty Zapus ships with GTK 3.24 and GNOME 3.24 applications for the most part. Not all the bits were updated to version 3.24 though. The exceptions are Nautilus (3.20), Terminal (3.20), Gedit (3.22), Software (3.22) and Evolution (3.22). Besides the applications mentioned above, Ubuntu 17.04 ships with Firefox 52.0.1, Thunderbird 45.8.0, LibreOffice 5.3.1, Transmission 2.92, Shotwell 0.22+git, Rhythmbox 3.4.1, Totem 3.24.0, GNOME Disks 3.24.0, GNOME Calendar 3.24, GNOME System Monitor 3.24 and Evince 3.24, on top of Unity 7.5.0 (+17.04.20170407) and Compiz 0.9.13.1 (+17.04.20170109). Under the hood, Ubuntu 17.04 (Zesty Zapus) ships with Xorg server 1.19.3, Mesa 17.0.3, Ubuntu Linux Kernel 4.10.0-19.21 based on the upstream 4.10 Linux Kernel, PulseAudio 10.0, and systemd 232.
support for Intel Turbo Boost Max 3.0 and Intel Cache Allocation Technology. this release does not include 32bit powerpc. Important: all non-LTS Ubuntu versions are only supported for 9 months. Ubuntu 17.04 will be supported until January 2018.